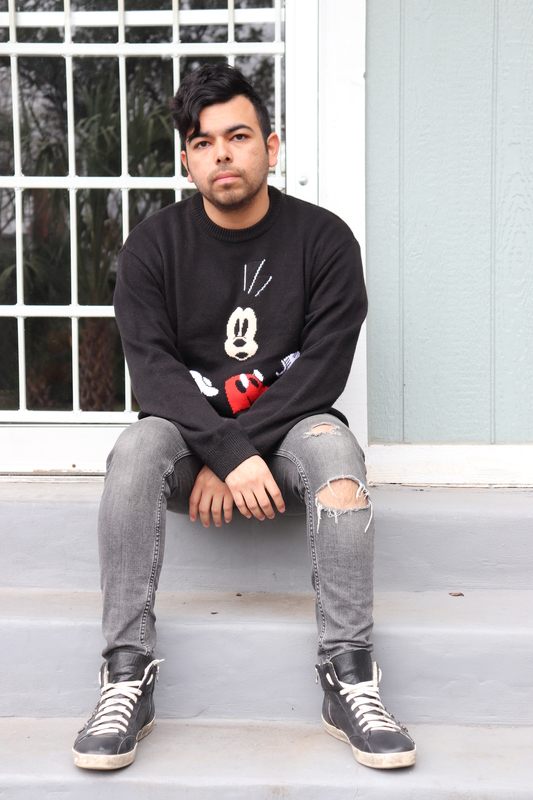 Mickey Mouse, torn jeans and studs are just some of my favorite things, and they all came together for this look. Winter is almost coming to a close but that doesn’t mean the cold will be going away. 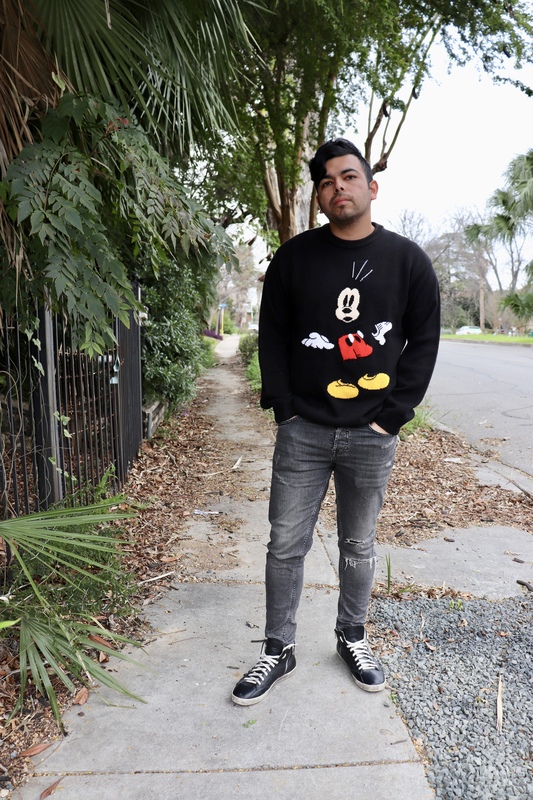 Spring can some times have cold nights and my Mickey Mouse sweater will definitely work for those nights. I copped the Mickey Mouse sweater at H&M. I rarely ever find anything for myself at H&M, but for some reason this sweater caught my attention. After trying it on, I decided it was a must! And it’s been a great addition to my wardrobe. I’ve gotten compliments from people when wearing it. You really don’t need to wear any other statement items when wearing this sweater. I stayed with dark colors for this look. 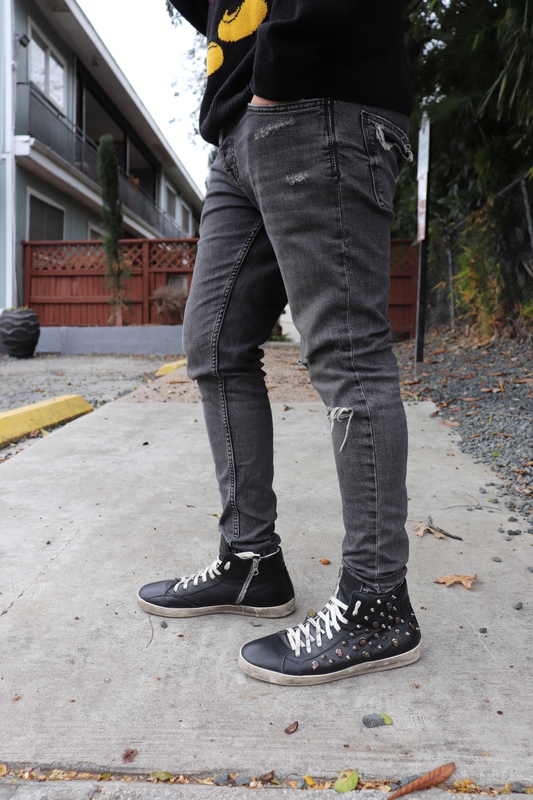 I paired the sweater with some grey torn jeans from Zara and some studded high top sneakers from Steve Madden that I haven’t worn in awhile. The torn denim and studded shoes contrast with the sweater, but they still definitely work together. It gives my outfit a bit of an edge to it. Haha. What are your thoughts on the sweater? How would you style it?